You may not know that, to post bail, someone might have several different options in the types of bonds that they can use. While the majority of those arrested often require a general use surety bond, property bonds are also a frequently needed type. 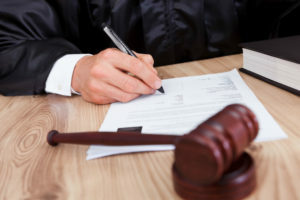 Depending on the nature of your situation, a judge may agree to utilize assets and real estate instead of cash amounts. That can help those who don’t have a ton of liquid assets kicking around, and it’s an attractive trade-off for leaving jail today before your hearing. However, before you go betting the farm, the courts won’t always agree to these terms. If your property is in a notoriously undesirable part of town or it isn’t worth much at all, it likely isn’t going to become eligible for your release. It has to be worth something. If there are existing liens against your home, you likely aren’t going to get to put it up for bail. Even if there are no current liens in place, you may find yourself required to pay off any existing unpaid property taxes in full before a judge accepts it. Time and again, someone who posts bail gets cold feet, and they attempt to run away. They believe that, if they leave town, they can somehow spend the rest of their lives living somewhere else, even though eventually their past will catch up to them. When you obtain common surety bonds for your release from jail, you risk forfeiting the entire cash amount if you fail to appear to your date in court. However, if you put your house up on the chopping block and you still decide to run off, the judge will likely send your property directly to foreclosure. Of course, no one ever wants that. Your best bet is to show up when you should and keep your property!